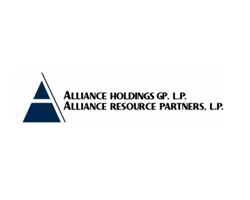 February 9, 2019 - Alliance Resource Partners, L.P. (NASDAQ: ARLP) today announced that its Series A-1 Preferred Interests ("Preferred Interests") in Kodiak Gas Services, LLC ("Kodiak") have been redeemed by Kodiak for an immediate cash payment of $135,000,000 (the "Purchase Price"). On July 19, 2017, Alliance Minerals, LLC, a wholly owned subsidiary of ARLP, purchased $100 million of Preferred Interests from Kodiak, a privately-held company providing large-scale, high-utilization gas compression assets to customers operating primarily in the Permian Basin. This structured investment provided ARLP with quarterly distributions of cash or additional Preferred Interests. As of December 31, 2018, ARLP’s investment had increased to $122.1 million due to the distribution by Kodiak of additional paid-in-kind Preferred Interests. ARLP was notified on January 26, 2019 that Kodiak intended to exercise its option to purchase the Preferred Interests and, on February 8, 2019, we received payment of the Purchase Price. As a result of this transaction, ARLP will record in the first quarter of 2019 income of $12.9 million, inclusive of an $11.5 million early redemption premium. ARLP is a diversified natural resource company that generates income from coal production and oil and gas mineral interests located in strategic producing regions across the United States. ARLP currently produces coal from eight mining complexes it operates in Illinois, Indiana, Kentucky, Maryland and West Virginia. ARLP also operates a coal loading terminal on the Ohio River at Mount Vernon, Indiana. ARLP markets its coal production to major domestic and international utilities and industrial users and is currently the second largest coal producer in the eastern United States. ARLP generates royalty income from mineral interests it owns in premier oil and gas producing regions in the United States, primarily the Anadarko, Permian, Williston and Appalachian basins. ARLP also generates income from a variety of other sources.